You step up to the plate, bat in your hands, ready to face the ball. The pitcher fires it – right at your weak spot. “Strike!” the umpire calls. Taking a deep breath, you steady your nerves. You’ll get the next one. But you’re too eager, too anxious, and you swing too early. “Strike two!” One more strike and you’re out. It’s all or nothing now. Your grip on the bat firms, and you eye the ball with a renewed sense of hunger. The ball approaches, and this time, you wait for the perfect moment to swing. Welcome, to the game of Softball. As with any other sport, Softball is a game that requires both physical and mental strength. And though the high demands of each game can leave players exhausted, it can build them up as well. Build them to be resilient, to believe in their abilities, and to be brave enough to push themselves beyond their limits. It creates team players that trust one another and are willing to put the team before themselves. 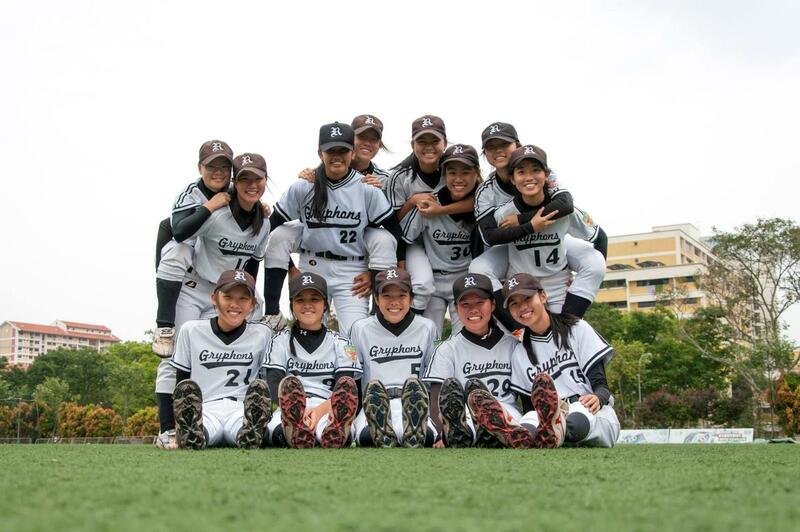 Strongly supported by the Softball alumni, our teachers and coaches, the RJ Softball team takes part in several tournaments and friendly matches yearly – both local and overseas. 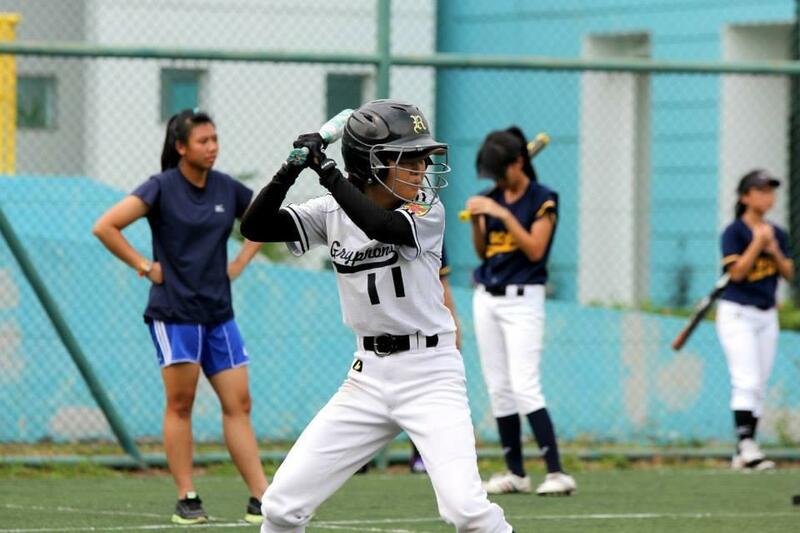 For instance, the SRC-SBSA Softball Carnival, AIA-SBSA Kallang Softball Open and Chiang Mai Open Softball Tournament. 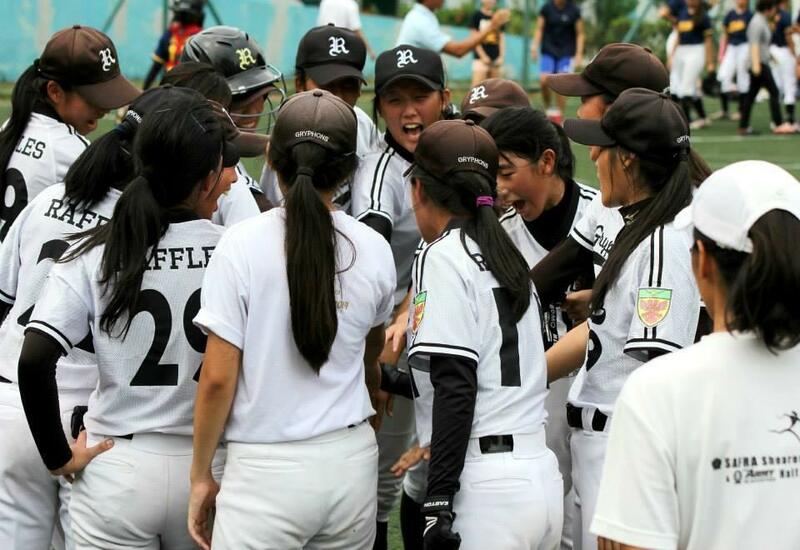 This year, our dream is to clinch 1st place in the National Inter-Schools Softball Championships 2015, and through this process to improve team bonding and camaraderie. We are keen to attract dedicated people interested in playing in our sport, and who dare to try and want to win. Like most sports, we rely very heavily on the hard work and commitment of individuals who give their time and energy to support our activities. These consist of trainings which are three times per week, as well as major and minor competitions that are well distributed throughout the year. Our peak period is in the months of March and April, when the intensity of the National competition kicks in. We do not deny that Softball is one intensive sport. The agony under the sweltering heat to master that perfect psychomotor of receiving a grounder with your glove, getting up, point, flick and throw. The slapping of who knows how many balls with an anti-clockwise hip turn, timed accurately, together with a sweet contact, sending the ball zooming past the fielders. The body aches, bloody blisters and enormous blue blacks that come after a hard game. These are just a glimpse of our depth of work. But the pain cannot compare to the joy that comes with the celebration of our best athletic moments and the culmination of our labour in a solid, good game. And the best part is: you will never walk alone. Are you ready to take on this challenge? Join our team. Join our family. Join Softball.